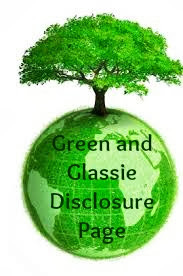 Green and Glassie: The Penguins of Madagasar is coming! The Penguins of Madagasar is coming! Discover the secrets of the most entertaining and mysterious birds in the global espionage game: Skipper, Kowalski, Rico and Private now must join forces with the chic spy organization, the North Wind, led by Agent Classified voiced by Benedict Cumberbatch to stop the villainous Dr. Octavius Brine, voiced by John Malkovich, from taking over the world. We love the Madagascar Penguins! We love Penguins of Madagascar! They are so funny. I can't wait to take my son to see this. I'm so excited about this!! The Penguins of Madagascar are awesome! They totally stole the show as far as I'm concerned. ;) So cute I love the Penguins of Madagascar they are adorable! They totally made those Madagascar movies! I can't wait for this! My kids love the Penguins!! Will be watching for the release! I wonder when this will come out over here.My kids would love to watch this. I love these guys. They are my favorite part of the franchise! My kids love the Madagascar movies. I will have to take them to see this when it comes out. This is going to be a funny movie. Can't wait to take the grandkids. The penguins were my favorite parts of the Madagascar movies. My son still watches them all the time. Not only do we love this franchise, but so does my dad! Maybe we will treat him and take him to the theater to see this! I had no idea! How fun! My kids love the penguins and I know they'll be so excited to hear about this! I didn't even know this was being made. How cool. I can't wait to see it and I'm sure the kids will be wanting to see it as well! Oh I love this!! I can't wait to let my son see it! Love the Penguins of Madagascar. I can't wait to see this. My 3 yr old saw Madagascar for the first time Saturday and loved it. I know she will be excited about this. We like the penguins. :) I'd like one on DVD to keep in the house. We love the penguins movie. I'm looking forward to the release. My kids are going to love this movie! They love all of the Madagasar movies thus far so I know they will enjoy this one, too. The Penguin movies are so much fun. It is great to see how much the kids enjoy them! My kids are going to love love love this! Ok- and maybe I am a little excited too! The Penguins of Madagasar is a family favorite. We cant wait for this movie to come out. My kids love these penguins! They watch this all the time! I love these pequins! They always make me laugh! I will have to see this. My grandkids love the penguins. They'll want to see this for sure. I'm sure this is going to be another huge hit! We love Madagasar. I know my boys are going to want to see this. I can't wait to see this. The penguins were definitely the best part of Madagascar. We love the Penquins at this house. I am sure it will be a great movie. This movie looks so cute! I really think that my kids are going to love it! Can't wait! Those penguins are always good for a laugh. I am glad they have their own movie coming out now. It's one we will definitely be seeing! I love those Penguins of Madagascar! They are cute and funny! I think that this movie will do good, lots will want to see it. I just love the Penguins of Madagascar. They make me laugh and so light hearted. It's fun for everyone. We love the Penguins of Madagascar! We'll definitely have to check out this movie when it comes out! Oooh! We loved the other Madagascar movies! Can't wait for this one! Yay! Crazy! We just watched Madagascar this weekend for family movie night! We'll be on the look out for this one too! My teenager grew up watching the Madagascar movies and now my little nephews as well so we love them. we like the penguins too! i think our movie theater has a big stand up cut out of this in the lobby or a hallway maybe?? Those penguins are so funny! I love this trailer and my kids are looking forward to seeing this asap. Oh this will be fun! My 5 year old will want to see this. They're awesome. And ridiculous. Maybe when it's on netflix we'll watch it. My four year old would love to see this! He loves PINGU and all things penguin! My kids will be all over this movie. They loved all of the Madagascar movies, and this will be no different. These are such adorable characters! My girls love them. 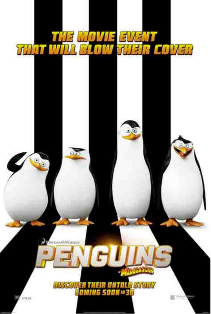 since my kids literally love anything penguin, this will have to be the movie I take my oldest too! I was actually just surfing through IMDB's release calendar and saw this on there. I'm super intrigued by it. My oldest son loves these guys. They are super funny! I never saw the original Madagasar movie but the penguins look so cute! I bet this movie will be a hit with the kids. The kids loved Madagascar. I can't wait until they see this movie. Awww, my kids are huge fans! They would absolutely love this. Kids are just really going to fall in love with this. In fact, I probably will too. My kids cannot wait for this movie. We loved the Madagascar flicks, and I'm betting this will be a hit as well. We used to watch this show all day long on dvr. the kids couldn't get enough of it!! So excited!! We can't wait to see this! The kids (and us grown ups) love Madagascar! I love those penguins. They are so stinking cute. Awesome. We love the penguins! Can't wait to see the movie!